My top tips for protecting your children when they start using the Internet. 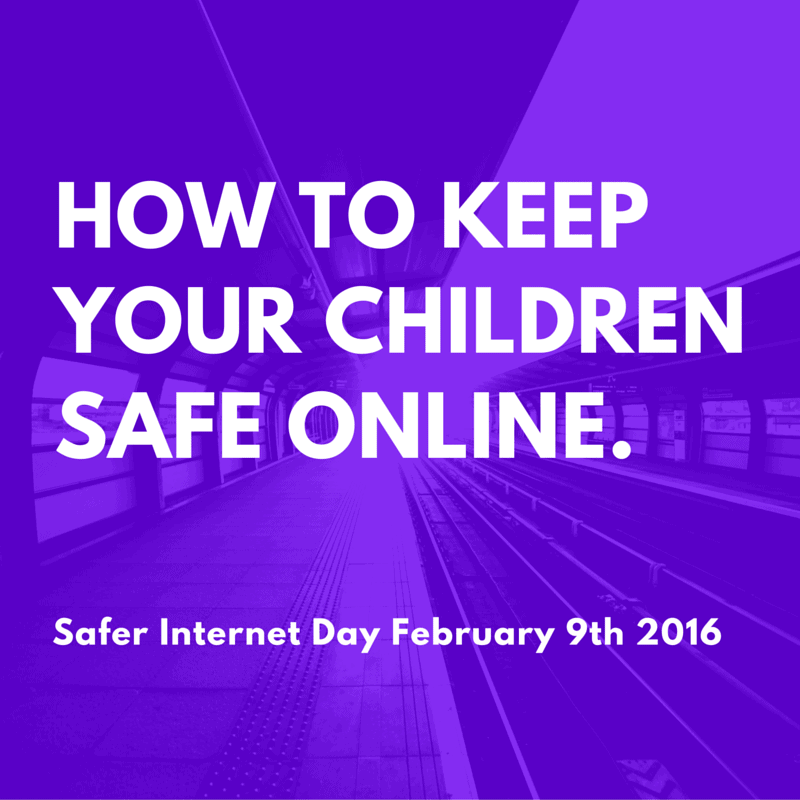 Home » Keeping your kids safe online : Februray 9th is Safer Internet Day. Keeping your kids safe online : Februray 9th is Safer Internet Day. Safer internet day, now in its sixth year, is coordinated by the UK Safer Internet Centre. The day sees hundreds of organisations involved in promoting safe, responsible and positive use of digital technology for children and young people. I’m often asked how you can protect children online. It is difficult, no matter how tech savvy you are be honest your children have grown-up with the technology all around them and they will be a step ahead of you. Below we’ve got the top official tips from the Department for Education. I’m pleased to see that they’ve got talking to your children about the dangers at number one, well ahead of any technical solutions. Talk to them and explain the dangers and wonders of the Internet. Set-up all the protection you can, for example activate your ISP’s adult content filter. I’m sure these days the means of bypassing these filters will be common playground knowledge but it’s better than nothing. You are the parent and it’s your responsibility to look at their internet history and try and keep them safe – you are not being nosy or intruding, it’s your responsibility. Of course Internet browser history is easily cleared and many browsers have options for switching it off completely. Make sure that your children don’t have Admin Rights on the computers they use. This will mean that they can’t install unauthorised software without you entering the Admin password. Most broadband routers have an option to disable WiFi at certain times, turn it off at bedtime. Don’t allow computers, mobiles, tablets etc in the bedrooms. Set computers up in a family room where you can keep an eye on what’s happening. Windows 10 has a useful feature where it can email you a summary of your child’s activity each week. Sadly Apple haven’t done this yet on the Mac! If you have the technical skills set-up an Internet traffic monitor on your broadband connection. This will log all the sites that are visited and which devices are in your house are doing it. It takes a bit of skill and some kit to do this but it’s well worth while. (It’s a great way to spot if there’s any malware in your house calling back to a controller as well!). I would encourage Children not to post anything online that will hang around and embarrass them in years to come, with new friends, work colleagues etc. What is government doing about internet safety? In 2014 the government made internet safety a compulsory part of the curriculum. Schools are also able to teach e-safety during PSHE lessons and every school is required by law to have measures in place to prevent all forms of bullying including cyber-bullying. Be required to ensure that they teach their pupils about safeguarding, including online. Two practical guides on social media – including one to help parents keep their children safe online produced by the UK’s Council for Child Internet Safety (UKCISS) – to help children understand the risks and benefits of social media, and prevent risks becoming problems. New online training, launched in the new year, will offer support for professionals, including nurses, doctors and teachers who work with children and young people. New industry-led awareness raising initiatives including Google’s ‘Internet Legends’tour which will travel around the country delivering assemblies to school children in 40 locations during this school year, to help kids stay safe online, so they can get the most out of all that the internet can offer. In addition ParentInfo, a new government funded online service, offers free expert advice to schools on how children and young people can stay safe online. This information, packed as a Tool Kit, can be hosted on individual schools websites making it easily accessible to parents and carers who can then discuss these important issues at home. It’s already available in 2,500 schools giving parents practical advice and tips on issues such as sexting, and online bullying. We have given schools powers to help them contain cyber-bullying during the school day by banning or limiting the use of mobiles and other electronic devices. Teachers also have the power to search for, and if necessary delete, inappropriate images (or files) on electronic devices, including mobile phones. If you have any questions or advice please leave a comment below. I’ll try and research any questions and get back to you probably in the form of a follow-up blog.